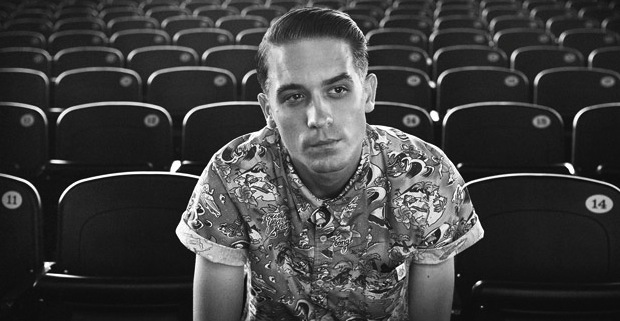 G-Eazy has made a career out of traveling in his own lane as far as hip hop is concerned. His early releases took cues from the biggest pop hits of yesteryear, but his more recent material has been squarely focused on what’s popular in the now. “Gotta Go” finds a comfortable middle ground between these two sonic ideas, and the results are one of G’s strongest tracks to date. You can stream and download “Gotta Go” below. As promised, here’s a brand new track. Something just for the fans… Want you to know I’ve been working super hard on my new album, and we ended up with too much music so I wanted to give you guys one of the songs that didn’t fit the track list. Those who have been following G-Eazy on social networks already know this, but in recent weeks G has been busy creating promotional materials for his upcoming release. This has included a video shoot for an as-of-yet unannounced single, but we suspect it does not stop there. Stay tuned to UTG in the weeks ahead for additional information on G-Eazy next moves and comment below to let us know if “Gotta Go” is something you plan to download.